Grass thrives on a seasonal basis. Depending on the grass type in question, you might see a lawn thrive in the summer or winter months. 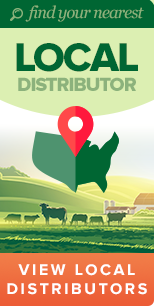 In parts of the country where weather patterns trend either hot or cold, it’s easy to tell which types of grass are most suitable for cultivation. In areas where the climate is a mix of warm and cool patterns, it can be more difficult to maintain your grass. If you live along the Mid-Atlantic, your area falls within the transition zone between warm and cool weather patterns. Choosing transition zone grass can be difficult without a working knowledge of grass characteristics. 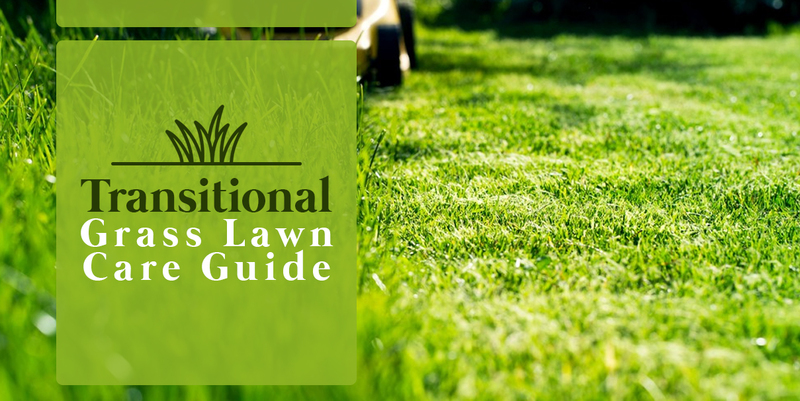 The following sections cover lawn care tips for transition zone areas, information on how to choose between grass types and a calendar care guide for transition zone lawns. Maintaining a lawn in transition zone states requires grass that can tolerate warm and cool weather, and especially the latter. The health of your lawn can also depend on irrigation, altitude, foot traffic, and the ratio of sun versus shade that the grass receives during a given week. When choosing grass to grow for transition zone lawn stretches, tall fescue is one of the most durable and resilient options. Tall fescues are among the more common transition zone grasses because the grass is able to withstand cold and hot weather. As such, tall fescues fare well in states like Virginia, West Virginia, Maryland and North Carolina, where the weather during a typical year will range from hot and dry to cold and rainy. Tall fescue was first cultivated in Europe and introduced to the states in the early 19th century. Though initially an agricultural grass, fescue eventually gained popularity as a pasture grass during the early 20th century. Tall fescue grows fastest during the months of March, April, October and November — especially if the temperatures are relatively cool for these times of year. The fast growth of tall fescue is attributed to its root system, which extends to a depth of two to three feet. This deep-rootedness makes it more tolerant of dryness, heat and shade than most other grasses. Tall fescue is also different in that it grows in shoots from the base, as opposed to straight in single strands. This makes the grass easy to procure but difficult to repair if a lawn has been damaged. Tall fescue is adaptive to a range of soils and can grow fast with only a minimum amount of fertilizer. However, the grass develops most effectively in soil with a pH of 5.5 to 7.5. The other type of grass that is most ideal for lawn care in the transition zone is zoysia, which can be cultivated into thick green lawns with minimal intervention. Zoysia is resilient under intense sunlight, dry conditions and standing bodies. Due to these traits, zoysia is one of the most popular transition zone grasses along the Mid-Atlantic region. Requires little water or maintenance. Zoysia grass comes from the Orient and was first imported to the U.S. during the late 19th century. The grass undergoes its primary phase of growth during the latter part of spring, just as the weather heats up for summer. Once the grass takes root in a hospitable climate, zoysia returns year after year during the warming season. Zoysia also has sufficient tolerance toward colder weather, which makes the grass one of the rare suitable options for the dichotomous climate of the transition zone. When initially planted, Zoysia takes longer to materialize than other grass types, but ultimately comes through thick and vibrant in color. Thanks to its density, zoysia is mostly resistant to weed growth. During the warm months when Zoysia grows, it assumes a medium-green color. During the colder months, the grass turns brown. However, zoysia maintains its greenness for longer periods than most other grasses that thrive in the summer months. Zoysia is also characterized by its thick, deep roots that store moisture and allow the grass to withstand periods of dryness. Zoysia is known to develop thatch, which should be removed in March or early April for optimal lawn health. Each week, a zoysia lawn should receive one inch of rainfall or irrigation, as this will maintain the color. Zoysia grows best in soil with a pH of 5.8 to 7.0. In order for a grass to work in one of the transition states, the grass must be able to endure a range of weather, and especially cold seasons. Grass types that are optimal for cold weather are easy to maintain in the summer months and less difficult to preserve throughout winter, because grasses of this sort can tolerate dryness and shade. Aside from tall fescue and zoysia, the most optimal grass types for transition states are bluegrass, ryegrass and thermal blue. 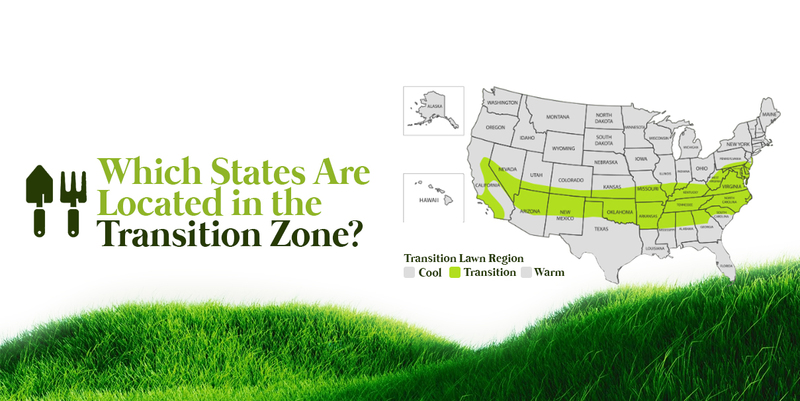 Which States Are Located in the Transition Zone? On a map of the United States, the transition zone is a horizontal region that runs along the lower half of the country. The transition zone is characterized by a mixed climate that falls between the more clear-cut weather patterns of the cool zone to the north and the warm zone along the nation’s southern rim. Some states fall completely within the transition zone, while others are only partially included. The transition zone starts along the mid-Atlantic seaboard between southern New Jersey and the northern tip of South Carolina. The states of Maryland, Delaware, North Carolina, and Virginia are swallowed up in the transition zone, as is most of West Virginia and southern Pennsylvania. The transition zone gobbles up nearly half of the Deep South and continues between states that comprise the southwest, cresting in central-east California. 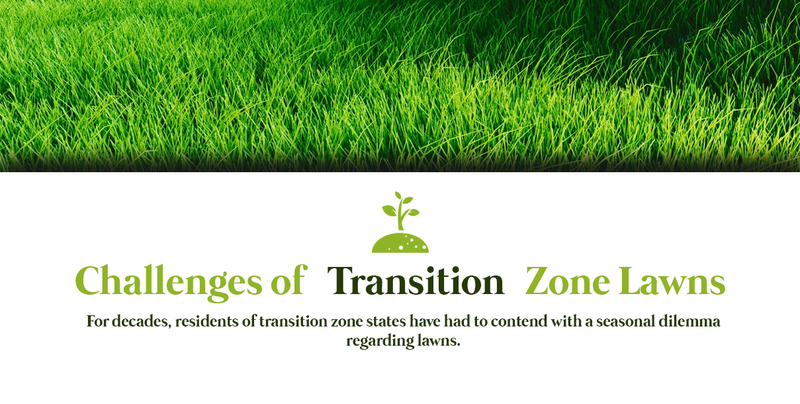 For decades, residents of transition zone states have had to contend with a seasonal dilemma regarding lawns. You could either have a warm-season lawn, where the grass is green in the summer and brown in the winter, or you could have a cool season lawn, where the grass is healthy during winter but prone to fry in the summer. These days, transition zone residents demand more options with the quality of their lawns. If you live in a state like Maryland, North Carolina, or the Virginias, you might have noticed a growing trend toward year-round green lawns. The trend has been spurred by climate change and its effect on seasonal weather, with hotter summers and colder, harsher winters. Many residents have adopted lawn-doctoring methods and even switched to different grass types to achieve a non-stop green look. In order to get a greener year-round lawn in this region of the country, you need to know your grass type. Identifying transitional zone grasses is relatively easy if you examine their behavior on a seasonal basis. Is your grass at its healthiest in the warm or cold months? If your grass thrives in the summer and turns dull in the winter, you have a warm-season lawn. If the opposite occurs and winter is when your grass looks its healthiest, you have a cold season lawn. Many residents have seeded their lawns with thicker, more robust types of grass like zoysia and tall fescue. Even though zoysia is warm season grass and fescue is cool season grass, both last considerably longer into their offseasons and can be extended further when you know how to care for a grass lawn in transition zone areas. Lawns can be made even more robust by seeding soil with a mixture of warm and cool season grass types. This way, the seeds for the warm grass sprout greenery in the spring and summer months and the seeds for the cool grass look healthy during autumn and winter. Of course, seasonal effects on grass do not follow a uniform trend across the transition zone, as effects can actually vary between shorter distances. If you live at a higher altitude, the effects of weather on your lawn are bound to be different than for residents who live in valleys or near bodies of water. The best way to determine which grass types and methods will best serve your lawn is to examine the healthiest lawns among the residents nearest to you. Ask these people which grass or methods they use to achieve year-round lawn thickness and greenery. 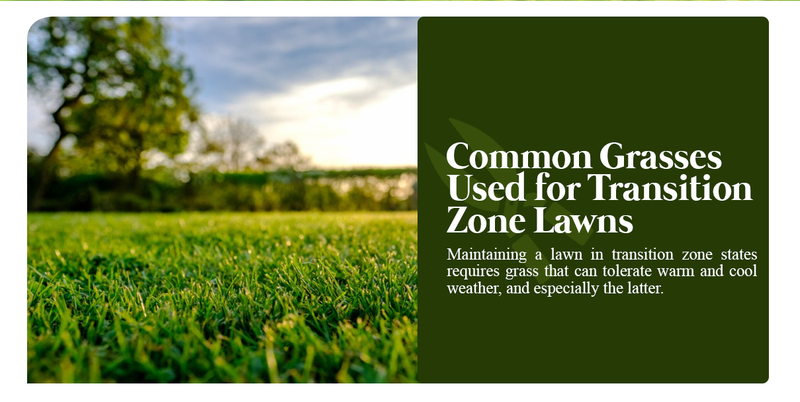 Caring for a transition zone lawn requires a mixture of warm-season grass and cold-season grass lawn care techniques. In the springtime, one of your main concerns should be weed control. Weed killers have a different effect on each type of grass. If your lawn consists of cold-season grass, try a weed killer appropriate for such lawns. For optimal weed resistance, mow the grass lightly during spring, as the taller grass is more capable of defeating the spread of weeds. Zoysia grass requires less effort in this regard due to its natural weed resistance. It is also crucial to know when to fertilize transition zone lawn stretches according to grass type. For warm-season grass types like zoysia, fertilization is most effective immediately after the grass turns green during the early weeks of spring. The pH balance of transition zone lawn grass can also affect its ability to turn green. If the pH balance is below optimal, you can bring it up to a healthier level by adding lime to the grass at the outset of spring. 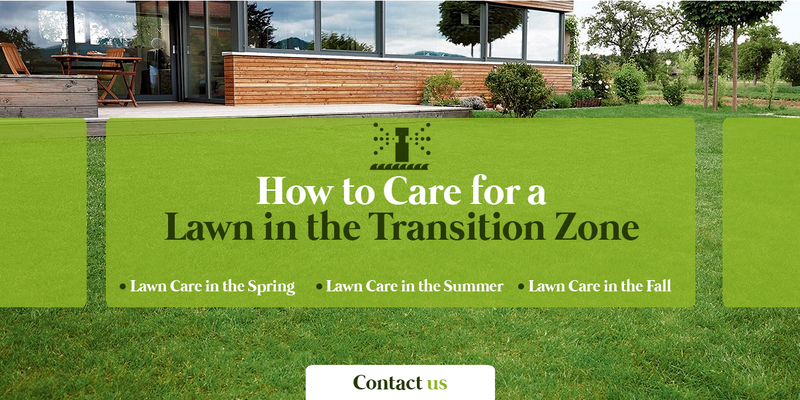 You can keep your grass green throughout the hottest and driest periods if you know how to care for transitional zone lawn grass during the summer months. To properly irrigate your lawn, the soil will need to absorb the water for effective root penetration. Water your lawn several times each week during morning and evening hours, when the sun is down and the heat is less intense. This will allow more water to soak into the soil because there will be less humidity in the atmosphere to evaporate the water. It is not necessary to water your lawn day in, day out. For the first couple watering sessions, monitor the flow of water to ensure that it spreads effectively and doesn’t lead to waste at any side of the lawn. Summer is the time of bug activity, too, and lawns can breed infestation if you don’t take preventative measures. The two most opportune situations for infestation are wet piles of leaves and puddles. If a pile of leaves is within spraying range of your lawn sprinkler, the pile could breed larvae and mosquitoes. Therefore, you need to keep your leaves raked and out of the way of your grass. Mosquitoes can also breed in water puddles in grassy areas. Inspect your lawn regularly to ensure that no puddles form. If your lawn has been plagued with mosquito infestations in the past, consider applying a bug suppressant across your lawn every eight weeks throughout each warm season. Pest control can also be combined with fertilizer, which should be applied to your lawn every three months. Be careful not to mow your lawn too close, since scalped grass is less water-receptive than bladed grass. Ironically, a shorter lawn is generally thirstier than a slightly higher lawn. Raise the blades on your lawnmower by one or two inches for best results. Taller grass will also make your lawn more resistant to the spread of weeds. When it comes to lawn care, transition zone methods that are most effective during autumn involve fertilization and seed planting. To ensure that your lawn comes to life at the crack of spring, fall is the time to fertilize the grass. 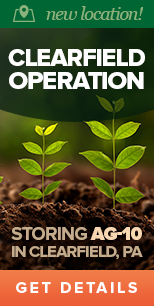 The fertilizer will work its magic during winter and bear fruit once the cold weather subsides. If your lawn is vulnerable to weed growth, consider the option of overseeding. At golf courses, seeds are spread in excess quantities to cultivate thick, dense lawns and overpower weed growth. On regular lawns, overseeding is an effective alternative to chemical weed suppressants. In fact, if you reseed your lawn in the fall, overseeding is the far preferable option, especially if you have cultivated a cold-season grass type like bluegrass, ryegrass or tall fescue. To overseed your lawn, use roughly half the quantity of seeds that you would apply if you were cultivating a brand-new lawn. If your lawn is plagued by thatch or diseased patches, aerate the affected spots before you apply fertilizer and overseed the grass. If you wish to confine overseeding to select areas, loosen the soil with a fork along those spots and then sprinkle with seeds. Water these spots daily for the next two weeks. For transitional grasses, liming is an important treatment. When you add lime to your lawn, it balances the pH level of the grass and gives you a healthier-looking lawn throughout the season. 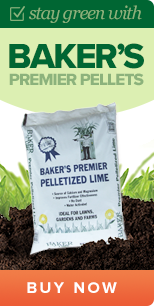 Contact us to get a quote on Baker Lime products.